“Life changing, fun, moving, challenging and filled with Jesus”, are words used to describe this year’s Youth Leadership Training Program (YLTP) by participants. This year, a new student leadership challenge curriculum was launched as a tool to help shape and equip young people of the church with leadership skills for life and ministry. It focuses on the five practices of exemplary leadership: model the way, inspire a shared vision, challenge the process, enable others to act, and encourage the heart. These practices allow the participants to affirm and share values, envision an exciting future, take initiative by looking outward for innovation, and foster collaboration by building trust and facilitation of relationships. This new curriculum will help to strengthen YLTP’s core values of community living, leadership, fostering of one’s self, spiritual renewal and listening to God’s call. YLTP is a three-year leadership training opportunity offered by the diocese to equip young people to take an active leadership role within their parishes and communities. 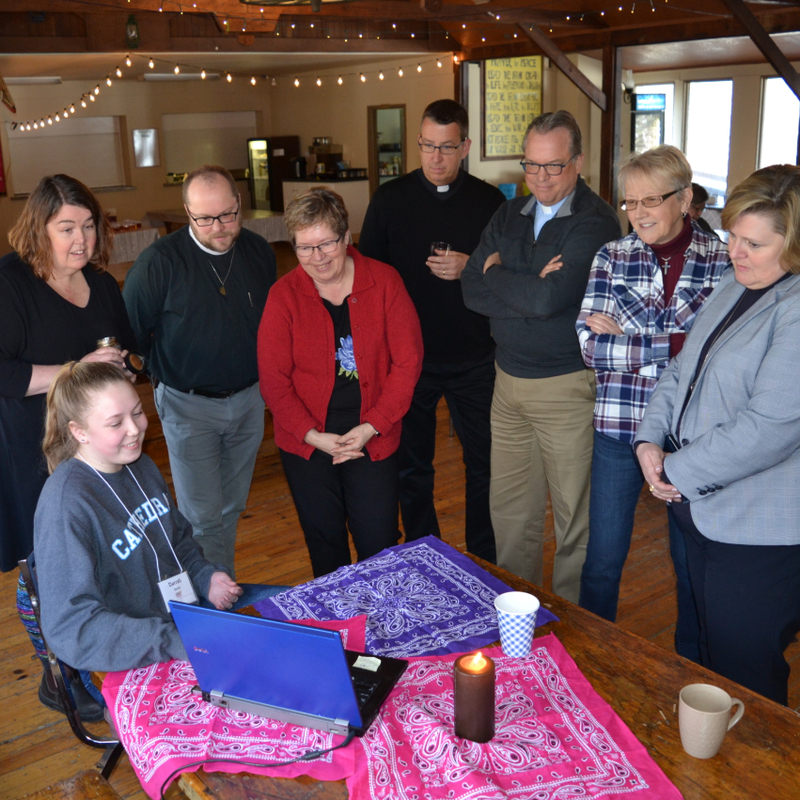 According to Sarah Bird, program consultant for children youth and family ministry, the support and positive feedback from clergy, lay leaders, families, and participants was overwhelming and energizing. Bishop Susan Bell's presence at the program to share lunch with the participants and volunteer program leaders was a highlight. 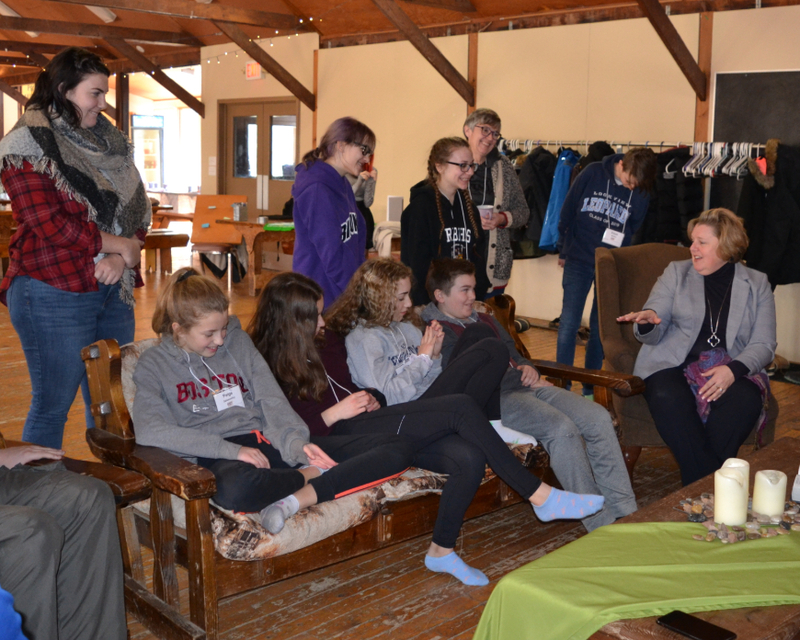 "Instead of rushing to tables with hungry bellies, the youth welcomed the bishop to sit amongst them in front of a wood burning fire," recalled Bird. "This unplanned moment awoke precious curiosity and organic conversation that ended in prayer and God’s presence was profoundly felt during this time." After lunch the Bishop joined with the clergy of program participants to walk about a marketplace of displays which highlighted the leadership projects of third-year participants. This year's projects included bible journaling, personal care packages for those living with low incomes, a fundraiser St. Matthew’s House in Toronto which works with refugees, positive messages, and a Sunday school lesson focused on love. “There is little more inspiring than the creative energy that my group brought each year to YLTP," reflected the Reverend Ann Turner, a mentor for the third-year cohort. "This was an amazing group of bright, faithful, engaged, and questioning people." Turner added that "every conversation served to challenge me deeply" and that while she may have some sleep to catch up on, she has "nothing but gratitude for the experience." 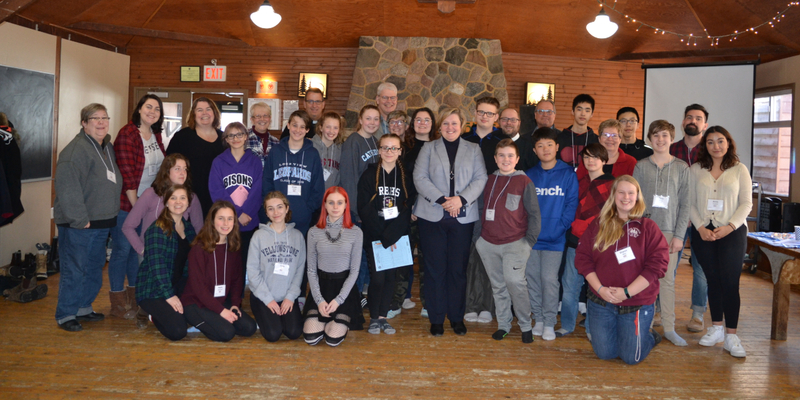 While the program takes place for only four days at Canterbury Hills in Ancaster, Bird notes that the intensive learning "continues to live on through the leadership roles that the participants are encouraged to embark upon within their parishes, communities, and homes." Click here for photos from this and other youth ministry programs offered by the diocese.